In my recently released Pluralsight course, Building F# Type Providers, I show how to build a type provider that uses erased types. To keep things simple I opted to not include any discussion of generative type providers beyond explaining the difference between type erasure and type generation. I thought I might get some negative feedback regarding that decision but I still believe it was the right decision for the course. That said, while the feedback I’ve received has been quite positive, especially for my first course, I have indeed heard from a few people that they would have liked to see generated types included as well. There are a number of existing type providers that use generated types, most notably in my opinion is the SqlEnumProvider from FSharp.Data.SqlClient. That particular type provider generates CLI-enum or enum-like types which represent key/value pairs stored in the source database. It’s hard to believe that KCDC is next week in Kansas City, MO! I’m excited to be giving two talks. On Thursday you can see F# Type Providers in Action which is an abridged version of my new Pluralsight course, Building F# Type Providers. On Friday I’ll break from the technical conference norm with a lighthearted look at some of my experiences from my trip into the book publishing world while I wrote The Book of F#. Please check the schedule for updated rooms and times. 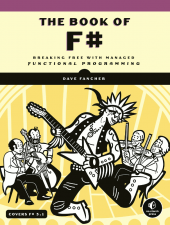 As a bonus, I hope to have a few copies of The Book of F# to give away during my sessions! I’ll be giving away a copy of The Book of F# during each of my sessions! I hope to see you there! Posted in .NET, Conferences, kcdc, Software Development, Speaking and tagged .NET, Community, F#, kcdc, Speaking on June 18, 2015 by Dave Fancher. Building F# Type Providers on Pluralsight! 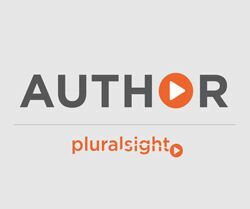 I was wrapping up The Book of F# and discussing the foreword with Bryan Hunter, he asked if I’d like to be connected to some of the folks at Pluralsight to discuss the possibility of an F# course. I agreed and a few days later I was on the phone brainstorming course ideas with them. Of everything we discussed I was really only excited about a few topics enough to think I could put together a full course for them. Naturally the ones I was most excited about were already spoken for so I started trying to think of some other ideas. At that point I sort of fizzled out from seemingly endless distractions like changing jobs, speaking at a variety of events, and so on. Over the course of a few months I’d pretty much forgotten about the discussions. Fortunately for me, Pluralsight hadn’t forgotten and my acquisitions editor emailed me to see what happened. We soon started talking again and one of the ideas I was originally excited about was now available and I’d been working on a related conference talk so I had the start of an outline. After a few iterations I was ready to start recording my Building F# Type Providers course. Fast forward to earlier this week when I noticed some blog traffic from an unexpected source – my Pluralsight author profile page! I quickly discovered that my course was live! If you’re wanting to learn more about one of F#’s most interesting features, I invite you to watch the course where I show a few existing type providers in action before walking through creating a simple type provider for reading the ID3 tag from an MP3 file using the Type Provider Starter Pack. This is adapted from a talk I’ve been refining a bit. I’m pretty happy with it overall but please let me know what you think in the comments. Update: I went to correct a minor issue in a code sample and WordPress messed up the code formatting. Even after reverting to the previous version I still found issues with escaped quotes and casing changes on some generic type definitions. I’ve tried to fix the problems but I may have missed a few spots. I apologize for any odd formatting issues. We’re on a roll! The third consecutive Indy F# Meetup is on Tuesday, January 20th at 7:00 PM. As always, we’ll be meeting at Launch Fishers. Check out the meetup page to register and for logistics information. When we started the group we decided to alternate the format between dojos and lectures. Since last month was a type provider lecture this month will mark a return to the dojo format. We thought it would be fun to change pace and hone our recursion skills a bit by working through the community-driven fractal forest dojo. I haven’t worked through this one yet myself but I’ve seen lots of beautiful images tweeted by people who have so it should be a great time and experience. I hope you’ll join us! Posted in .NET, Community, F#, Indy F#, Languages, Software Development, Speaking, User Groups and tagged Community, F#, Indy F# on January 13, 2015 by Dave Fancher. This code is straight-forward but it’s highly imperative. Like side-effects, imperative code isn’t necessarily a bad thing but it would be nice to tame it a bit by initializing the header values as part of a pipeline while still returning the response message. Doing so isn’t hard: just create the HttpResponseMessage instance via the constructor and pipe it to a function that does the initialization before returning, right? This is a perfectly acceptable approach and is something I’ve definitely done plenty of times but all it has achieved is moving the explicit return into the function. After doing this a few times, you might start to think there has to be a way to standardize this pattern and you’d be right. Over the holidays I finally found some time to relax and although I spent a great deal of time glued to Assassin’s Creed: Unity on my Xbox One I managed to read a few more articles than usual. Something that struck me as interesting was that I noticed a theme across several of the code samples: they were using a tee function within a pipeline. The tee function isn’t part of the core F# libraries and I couldn’t recall having encountered it before so I started doing some background investigation. One of the first sites I found that mentioned the function in the context of F# was Scott Wlaschin’s excellent Railway Oriented Programming article which I’d read previously but clearly not thoroughly enough. In the article Scott says he named the function after a Unix command of the same name. The Unix command, which is named after plumbing tee fittings, splits a pipeline such that input flows to both standard output and a file. This is certainly useful for logging in shell scripts but its possibilities are much more interesting in an F# pipeline. Now the pipeline looks more like what we might expect since we’re no longer explicitly returning the response from the lambda expression. Depending on your style preferences, injecting the tee function explicitly into the pipeline as you would a Seq.filter or other such function might bother you. To me, the tee function is a perfect candidate for a custom operator so let’s define one. Here we’ve defined |>! as the tee operator (this is the same symbol that WebSharper uses). Notice how the parameter order is reversed from the tee function. This is due to the fact that when using our new operator, we’re not relying on partial application to invoke the tee function. Now we can eliminate the explicit reference to the function, making the operation look like a natural part of the F# language. By introducing the tee function and operator you give yourself another tool for taming the imperative code and side-effects that tend to pop up in software projects of any complexity. Posted in .NET, F#, Languages, Software Development and tagged F#, Functional Programming on January 11, 2015 by Dave Fancher. [12/15/2014 Update] Due to time concerns FunScript has been dropped from the Indy F# meeting. If you were really looking forward an introduction to FunScript stay tuned – we’ll be coming back to it in a few months. This is a busy week for me on the community front with talks at multiple Indianapolis user groups. If either of these topics interest you I hope you’ll register and join us. On Tuesday I’ll be kicking off an Indy F# double feature by talking about Type Providers. We’ll begin with a short tour of several existing type providers and seeing how they make accessing data virtually effortless. With a good taste of what type providers can do we’ll then look behind the curtain to see how they work by walking through creating a custom type provider that reads ID3 tags from MP3 files. Brad Pillow will follow with an introduction to building single-page applications with FunScript. Posted in C#, Community, Indy F#, IndySA, Languages, TypeScript, User Groups and tagged Community, F#, Software Development, TypeScript on December 14, 2014 by Dave Fancher.